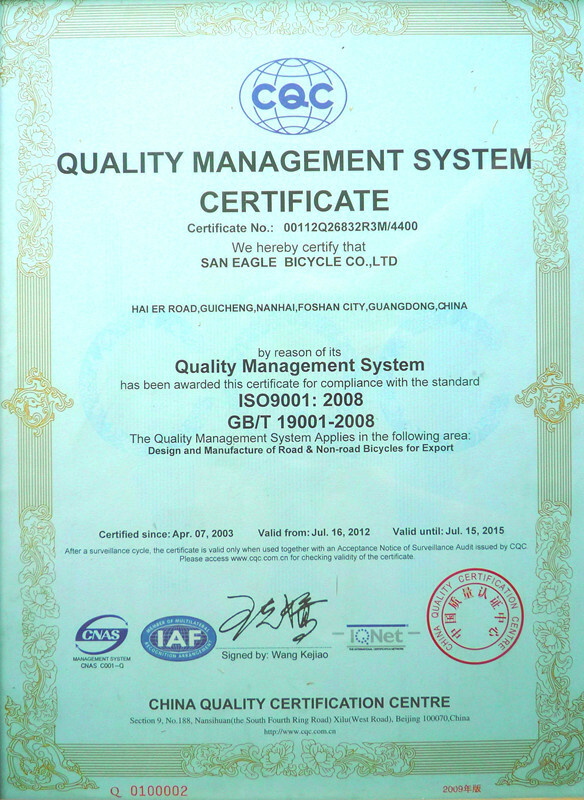 Company Overview - Foshan Saneagle Bicycle Manufactory Co., Ltd.
14YRSFoshan Saneagle Bicycle Manufactory Co., Ltd.
Foshan Saneagle Bicycle Manufactory Co., Ltd., established in 2000, locates in Nanhai, Foshan, Guangdong, China, is a professional manufacturer engaged in the research, development, production, sale and service of bicycles and electric bicycles. Our new facility has been put into use since 2012 and our company occupies an area of over ten thousand square meters. Supported by over 100 employees, our annual export sales reach 7 million dollars. Our products are exported to Europe, North and South America, the Middle East, Oceania, Africa and Asia. 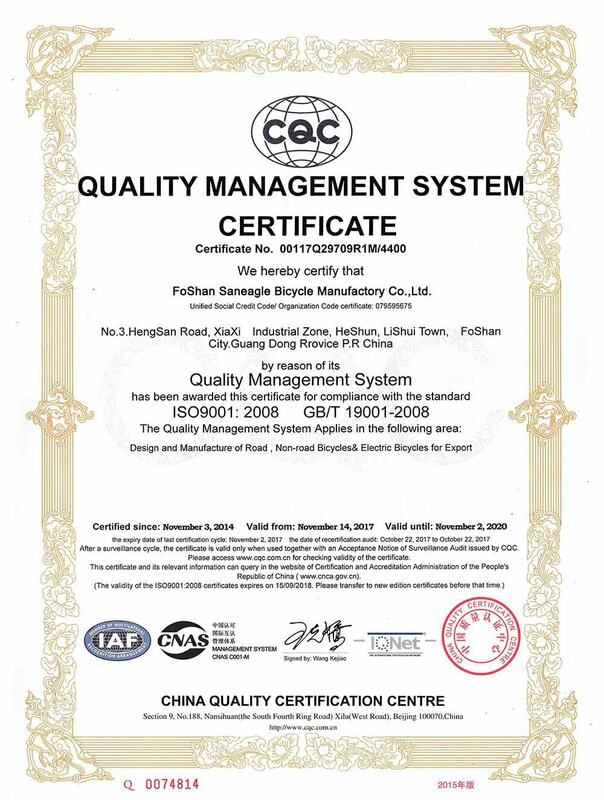 In addition, we have obtained I S O 9 0 0 1 international quality management system certification, CE as well and EN certification for our electric bicycles. 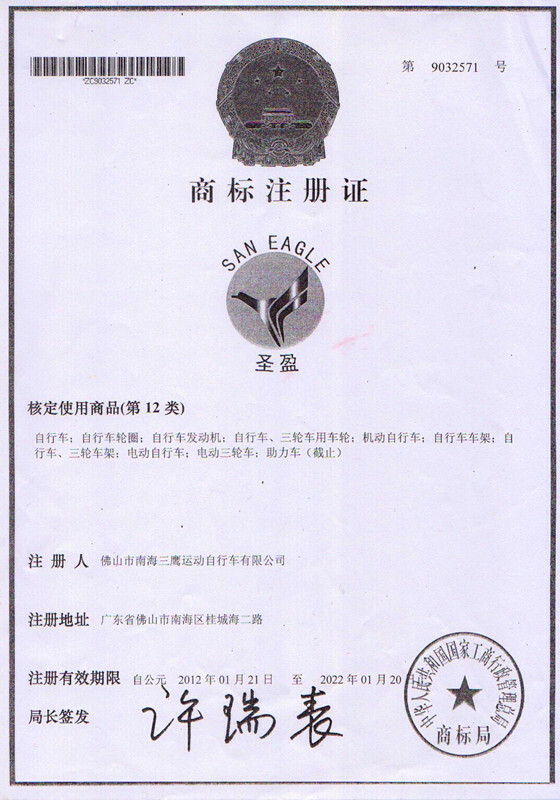 We have subsidiary brands, such as Saneagle, Zenith, and Santa. We also welcome O E M and O D M orders. 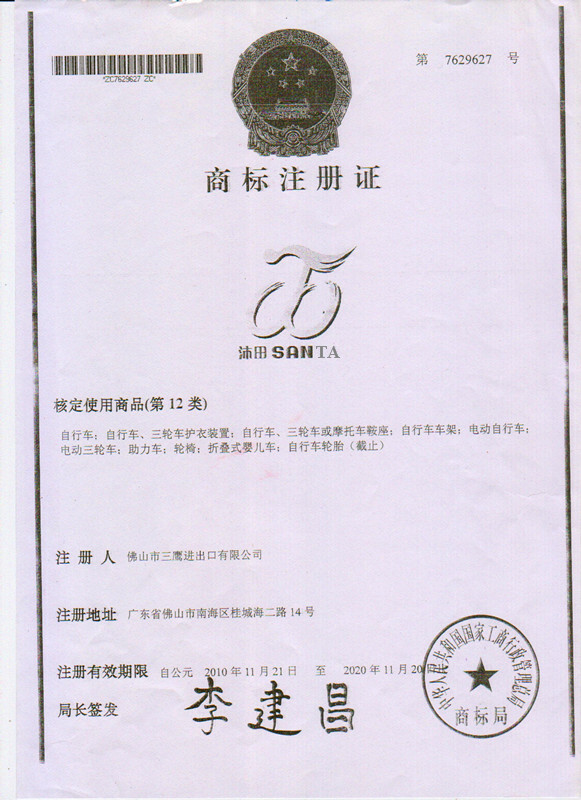 Our R & D team has garnered a series of patents in China. To keep us updated with the latest market trends and to showcase our products, we participate in various trade shows annually such as Canton Fair, China International Bicycle & Motor Fair and Eurobike Friedrichshafen. If you have any new ideas or concepts for our products, please contact us. We are glad to work together with you and finally bring you the satisfied products.